Available at Amazon in soft-cover and ebook, the first of seven books in the Phillip’s Quest series. The adventure begins with a visit from the wizard, Azur, to the gnome, Phillip Tuber of the village called Twistedoak. Time is running out for the peaceful little village and for Phillip’s brother, Phallow. 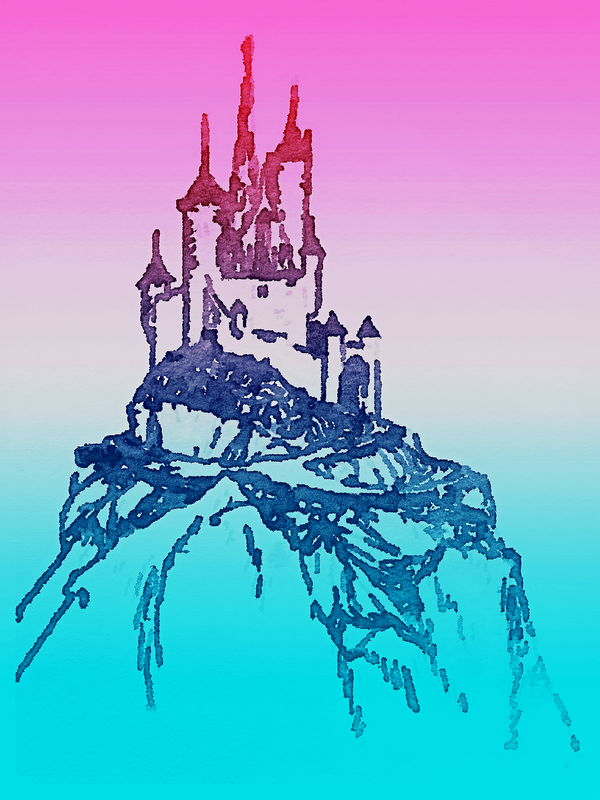 The Red Witch of Winterfrost Castle is on a rampage and Phillip must undertake a quest to this magic castle. Not traveling alone, the gnome’s best friend, Edward the squirrel, accompanies him on this very exciting and perilous journey. A third companion joins them at Azur’s castle and so a gnome, a squirrel and a dinosaur make their way through many lands on their way to the frozen land of Winterfrost. Phillip’s Quest appeals to children in the middle grades. There is action and adventure for both boys and girls. A reminder of J.R.R. Tolkien’s The Hobbit and Lord of the Rings, the gnome, Phillip of Twistedoak and his friends must travel to Winterfrost at the request of Azur, the Blue Witch, to retrieve a powerful crystal that will save Twistedoak forever. More than that,many valuable lessons will be learned. If you and your children enjoy the books of J.K. Rowling’s Harry Potter, C. S. Lewis’ Narnia series, Tolkien’s Lord of the Rings, or Lewis Carroll’s Alice in Wonderland, for the fantastical and amazing creatures, meet Stinky the dinosaur, Edward the squirrel, Razorsnoot the goblin, (with his strange malady) and many more. Phillip’s Quest will bring you the new and exciting creatures of their world and their struggle for Winterfrost Castle. You can read Chapter 1 of Phillip’s Quest, Book I: Winterfrost right here on my website! A blue, summer sky smiled upon Phillip’s garden. Colorful butterflies danced from flower to flower as crickets chirped and bees buzzed along the herb-filled windowsills. Rows of neatly tended plants lined the soft soil and stretched their hungry leaves towards the warm, mid-morning sun. Lush plants cradled shiny, red tomatoes and yellow squash grinned from beneath curly vines. Phillip puffed from his pipe as he stood between rows of taters and onions. “Thinking about your brother again?” asked Edward. Phillip blew a purple stream of smoke from his pipe and sighed. Phillip stood between the rows of taters and onions and stroked his long brown beard and puffed on his pipe as he pondered his brother’s fate. At that moment a small circular window opened from the base of the tree and Ivy’s head poked out. Warm yellow light glowed from the kitchen onto the garden. “Well,” replied Ivy. “Unless your brother is going to pick me three onions and check the mail, it’s of no concern to me.” She gave a snort and closed the window. Phillip rolled his eyes, picked three juicy onions and a tater from the garden and walked along the front stone path to check the mailbox. He was surprised when he saw three envelopes sticking out. Two were bills, of course, but the third was a letter from his friend Azur, known by everyone in town as the Blue Witch. The addresses on the envelope were inscribed in a flowing, majestic calligraphy. A large purple stamp with gold trim had been carefully placed in the top right corner. A letter from the Blue Witch! Maybe this was news about his brother. Phillip grinned and felt his morning improve as walked back along the path to meet Ivy for breakfast. To find out what happens next with Phillip, Edward, Ivy and Azur the Blue Witch, pick up your copy of Phillip’s Quest, Book I: Winterfrost , today!